InflationCoin is also known as "IFLT" and works without being controlled by a central bank or single administration. 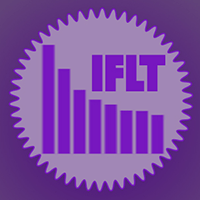 It is not a mineable digital coin, so in order to obtain IFLT, you are able to buy them via an exchange. It utlizes the proof of work and proof of stake (pow/pos) consensus and the X11 algorithm. We don't have any exchanges listed for InflationCoin yet, check back soon! We don't have any wallets listed for InflationCoin yet, check back soon! We don't have any debit cards listed for InflationCoin (IFLT) yet, check back soon! We don't have any price charts listed for InflationCoin yet, check back soon!